Teaching children how to tell time is often a long, arduous task that involves endless guessing on your child’s behalf and relentless repeating on yours. Or maybe that’s just our house because we’ve only ever had boring clocks. 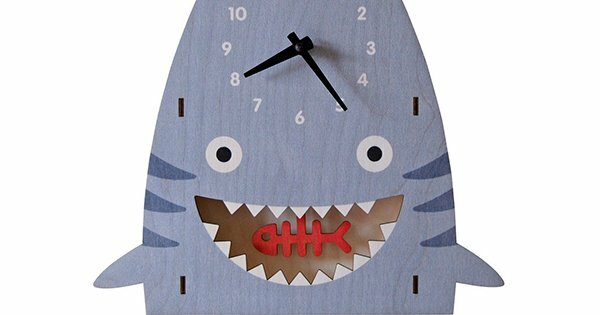 In the case of the latter, you’d be wise to secure yourself an awesome clock that the kids will love to turn their attention to – and we think these fancy pants 3D Pendulum Clocks are just the ticket. Prepare to fall hard for all 24 of the Paul Ocepek designed 3D Pendulum Clocks in Modern Moose’s stellar time piece showcase. Starring pandas, fish, trucks, robots and everything in between – including a pearly toothed cheerful shark – and each with their own super cute swinging pendulum! I’m feeling pretty confident in saying I don’t think you’ll have any trouble engaging your little person’s attention in learning time with one of these beautiful pop out effect clocks in the nursery or play space. Clocks are laser cut with precision from Baltic birch plywood, printed with non toxic water based inks and finished with a pre-drilled hole to make hanging it up at home a cinch. 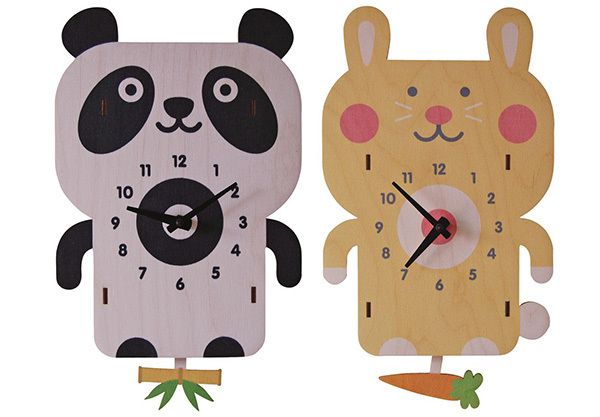 3D Pendulum Clocks are priced US$44 and available directly from Modern Moose. Delivery to Australia is available.